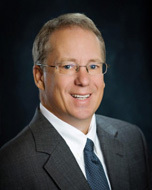 Jeff began practice as a lawyer in 1991 as Legal Counsel to Wisconsin Governor Tommy G. Thompson. Since 1993, he has been practicing in areas of business law, real estate, estate planning, tax, non-profit, entertainment and related litigation. Jeff’s practice is diverse, ranging from matters such as simple house closings to complicated mixed-use developments; simple business set-ups to mergers, to contracts, franchise law, tax issues and acquisitions and family business planning. He has had various published articles on the topics of small business start-up, choice of entities, and limited liabilitiy companies. Jeff also co-founded and helps run Mike Ditkas’ Gridiron Greats Assistance Fund for former NFL players in dire need.